Many men never make a connection between advocating for women in the workplace and the impact this will have when their daughter enters the job market. Dads, if we aren’t working today to advocate for women, then by default our daughters will face the same bias and gender pay issues that will hinder their lifetime earning potential. I believe that fathers of daughters have a responsibility to be change agents. 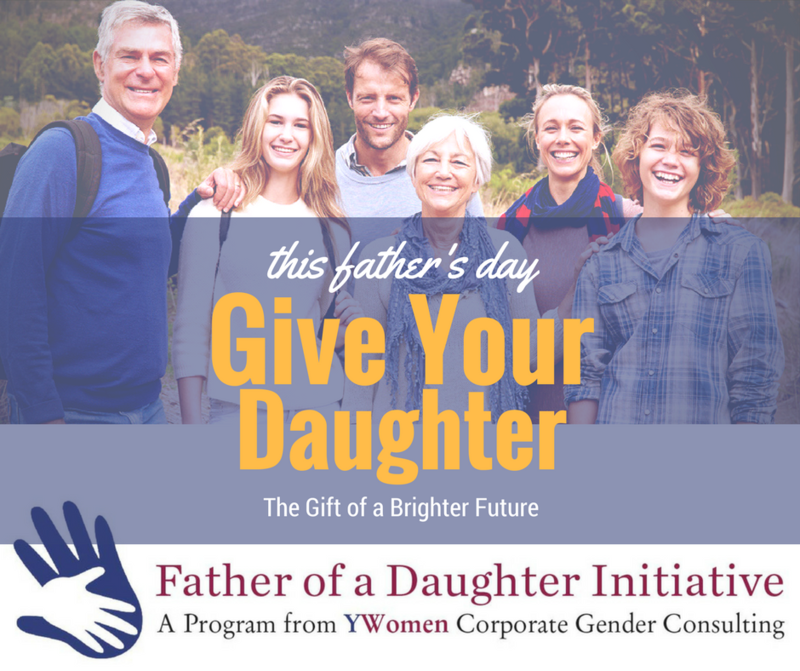 My Father of Daughter Initiative is a simple opt-in program to help men by serving as a roadmap to help advocate for women on a daily basis. You simply commit to doing a minimum of one thing (hopefully more) to advance women in the workplace. Please share this post with all of the men (and women) in your organization, your employee resource groups, friends, and family — and encourage them to do two things. Watch the Father of Daughter video clip and discuss the implications to you, your organization and yes, your daughters. Join Father of a Daughter Initiative. Print it out, put your daughter’s name(s) on it, commit to at least one action to advocate for women on a daily basis and post it in your office to show that you are a champion for advancing women! Of course, you don’t have to be the father to participate — women can also champion women (and their daughters) in the workplace or if you’d rather be an advocate for women you can show your support and action today. Finally, please consider sharing this on your Facebook page to encourage other’s to advocate for women in the workplace. 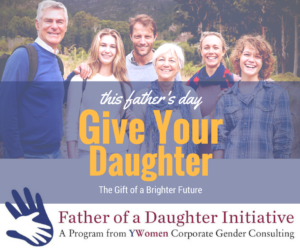 The Father of a Daughter Initiative is a roadmap for men to make the connection between women at work and their daughters and to stand up for women. Thank you for sharing the Father of a Daughter Initiative with your network. Please send your thoughts to comments@ywomen.biz. We can also connect @YWomen. Together we can create a brighter future for our daughters — and all women in the workplace. Jeffery Tobias Halter is a corporate gender strategist. The country’s leading expert on engaging men to advance women. Jeffery is the President of YWomen, a strategic consulting company. The former Director of Diversity Strategy of The Coca-Cola Company. A highly sought-after speaker, Jeffery is a two-time TEDx speaker and frequently speaks at industry and corporate events.